Sri Lanka’s dance narrates an extraordinary tale. Its timeless allure continues to inspire us. It does not just show us the move. It celebrates the move of the country’s aesthetic wheel. Long before the Indian edition of this perpetual art called dance reached the shores, this land housed its own traditions. Kandyan and Low-Country dance traditions have been spoken of in the same breath. Though not spoken of in the same weight, the Sabaragamuwa dance tradition has also completed some chapter in Sri Lankan aesthetic history. The Sabaragamuwa tradition has received the step-motherly treatment though. It remains largely undocumented to this date. Interested in studying this less-spoken tradition? No direct flight is available, unfortunately. Unless you pick Saman Kumaratunga’s latest research work. Apart from being a practical dancer, Kumaratunga is Head of Sabaragamuwa Dance Studies Department of University of Visual and Performance Arts. Years of his experience and experiment with the subject is now available in the form of two books: one dealing with the history of the tradition, while the other dealing with the instrumental instrument of the tradition, davula. “The three major dance traditions of Sri Lanka, upcountry, low country and Sabaragamuwa are significant because of their unique features. The Sabaragamuwa tradition originates from jith thong nan. 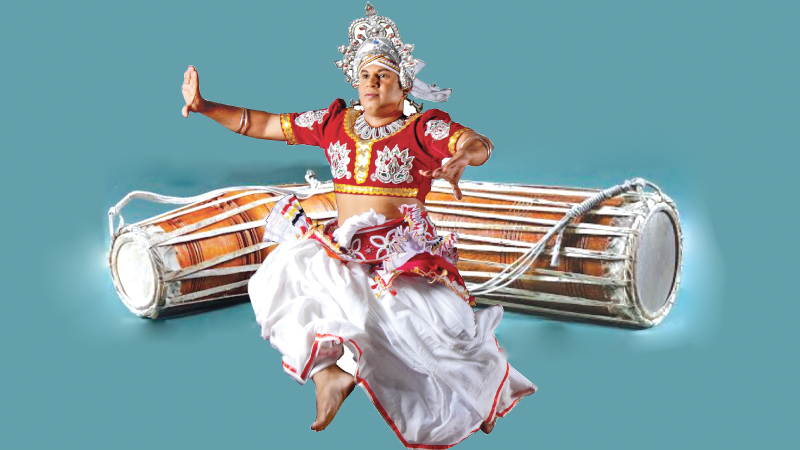 The uniqueness of the Sabaragamuwa tradition depends on the physical features, drum tunes, davul tunes, melodies and theatre costumes,” Kumaratunga assesses. Davula is an instrument unique to the Sabaragamuwa dance tradition. The instrument has its own share of contributions at ceremonial occasions such as Shanthikarma (rituals performed for healing purposes), dance and temple processions. The Sabaragamuwa dance tradition is stretched across Ratnapura and adjunct areas such as Ruwanwella, Deraniyagala and Yatiyantota. Much akin to its counterparts, the Sabaragmuwa tradition is named after the place of its origin – the Sabaragamuwa province. “You cannot find any specific or specialised group interested in the Sabaragamuwa tradition, unlike the other traditions. That is why this tradition is not quite popular,” Kumaratunga notes. But that’s not the only reason. The intricate rhythmic structure of the tradition has made itself the unsightly lass. A vast swathe of students seems to be satisfied with the five mainstream melodies of the tradition though there is more to it than they could imagine. The subject is much larger than you think. So to say, it needs a deeper crackdown. This call for a deep study does not hold much water in the popular territory. If your knowledge on the subject is half-baked, then the need to delve deeper into the subject recedes. The genesis of the Sri Lankan dance rests in the healing rituals. However, the Sabaragamuwa tradition goes beyond the mere rituals, Kumaratunga anatomises. The tradition had also been practised in the presence of the royalty. However, a profound research is yet to take place on the real genesis of the tradition. If someone does not take up that responsibility, the tradition will soon die away, Kumaratunga warns. That is exactly why the Sabaragamuwa dance has become his sole preoccupation. Although choreography is a marked presence in many functions, Kumaratunga points out that the traditions are not properly upheld. “The traditional artistes preserved it. But that preservation does not seem to take place in today’s context. Therefore the University of Visual and Performance Arts has initiated that project of preserving the traditional dances. 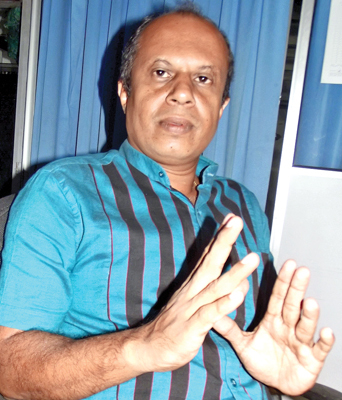 Yet most traditional dancers have shied away from the art,” Kumaratunga laments. Although the healing ritual of the good old times is not prevalent today in abundance, various other methods of practice used for exorcist-related activities could still be seen in certain domestic environments. Yet whether these rituals are conducted in the proper way remains a question. “Any expert drummer of an offering ritual artiste should be able to recite the verses for 60 hours in one go. There are no repetitions in the ritual literature. You are required to memorise the verses of every kind. But most of the younger generation is lazy to memorise them,” Kumaratunga explains. Laziness is not the only aspect. The supply of the rituals has no social demand. That said, no stimulation or catalyst is available for the modern generation to take up the ritual studies seriously. On the contrary, the dancer of the yesteryear was versed not only in singing, instrumental music and dance, but he was also a master of medicine, carpentry, architecture and engravings. The ancient dancers have used various medicinal techniques. A ritual is beyond a mental relief. But what is required of the modern dancers is to have a traditional procession or some choreographic event for a special function. Even if it is a special occasion, they pay special attention to the upcountry dance. “If Sabaragamuwa dance tradition prevails that is mostly because it is a subject taught at the university. There is a considerable growth in the Sabaragamu tradition since 1980. But the knowledge does not disseminate properly,” Kumaratunga said. Knowledge falters when interest dies down. But when someone comes forward to re-ignite a dying interest, exclusivity barges in and finds its own way to a novel uniqueness. May Kumaratunga’s work offer chapter and verse to that phenomenon!